When buying a home, one of the most exciting aspects is imagining the possibilities – the traditions, the memories, and the parties. As a host, you are searching for a home that fits your entertaining style and feels inviting. There is no one size fits all. It depends on your entertaining style. Before you worry about the specifics of the house, determine your hosting needs and preferences. Do you prefer large parties or intimate gatherings? For large parties, space matters. For intimate gatherings, how you use that space matters more. What types of parties do you host? For game-day parties, look for a home with an open concept living area or basement that has great acoustics. 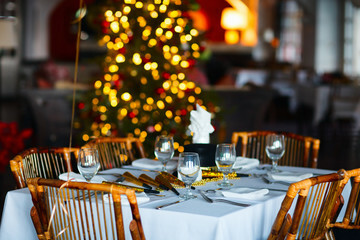 For a formal Christmas dinner, look for a home with a spacious dining room. The type of party influences your spatial needs. Who do you invite to parties? For adult gatherings, an open living room and kitchen design works. For family get-togethers with kids, it may be nice to have multiple rooms so that the kids can play in one and the adults can talk in another. How do you prefer to serve food? If you prefer to host formal dinners, the dining room is of utmost importance. If you prefer to serve appetizers and graze, an open kitchen and living room is likely more important. Do prefer entertaining indoors or outdoors? If you prefer outdoors, look for a home with a nice yard and patio. If you prefer indoors, look for a home with great flow and lots of space. By answering these questions, you gain insights into your entertaining style. A couple who hosts intimate gatherings for close friends has drastically different entertaining style than a family who hosts birthday parties and other social occasions. With your entertaining style in mind, you can have a better idea of the types of layouts and criteria that will meet your needs. Floor plan and layout – An open floor plan with flow makes it easier for guests to navigate and feel comfortable in the space. Scale Over Size – The size of the space is not nearly as important as the scale of the room and furniture. Low ceilings and oversized furniture can leave your guests feeling cramped. Available seating – Consider how you can make the best use of the space – perhaps a coffee table with ottomans underneath or bar stools along the kitchen counter. Multi-functional space – Window seating is a great way to provide guests with seating during parties while utilizing the storage on a day to day basis. Creating ambiance – Regardless of the home, you can make it more inviting with dimmer switches that allow you to control the atmosphere. You can also make it more entertaining with a multi-room audio system. When you attend your next holiday party, analyze the environment, determine if it is great or not so good for entertaining, and then look for the factors listed above. If you start looking for examples and thinking about your own entertaining needs, it will become easier to recognize the perfect home for your entertaining style.